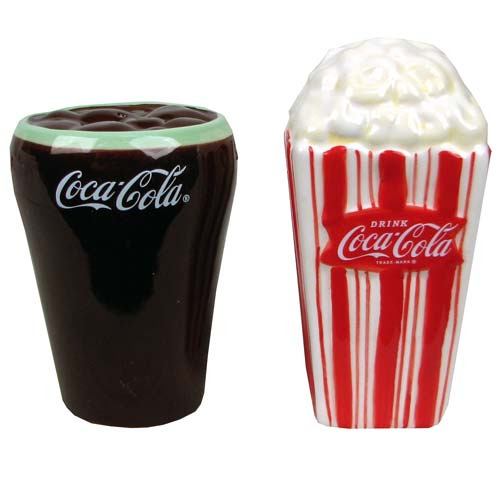 A fun addition to the kitchen, it's the Coca-Cola and Popcorn Salt and Pepper Shaker Set! These ceramic salt and pepper shakers each stand about 3 3/4-inches tall. When linked via magnet, the 2 shakers look like what you might get at a movie theater with a glass filled with Coke and a bag of popcorn. Ages 12 and up.